Sometimes I have a craving for popcorn. Especially when I know I’m having a movie night. It just seems like the thing to do. So, since I hadn’t made much use of my rosemary plant lately, I decided to make something along the lines of the rosemary and parmesan popcorn introduced on A Cup of Jo. I didn’t have parmesan cheese so I just used Kraft’s parmesan grated cheese. I also didn’t have time to make rosemary oil, so I just cut them up in tiny pieces and let them sit for a bit in the oil. 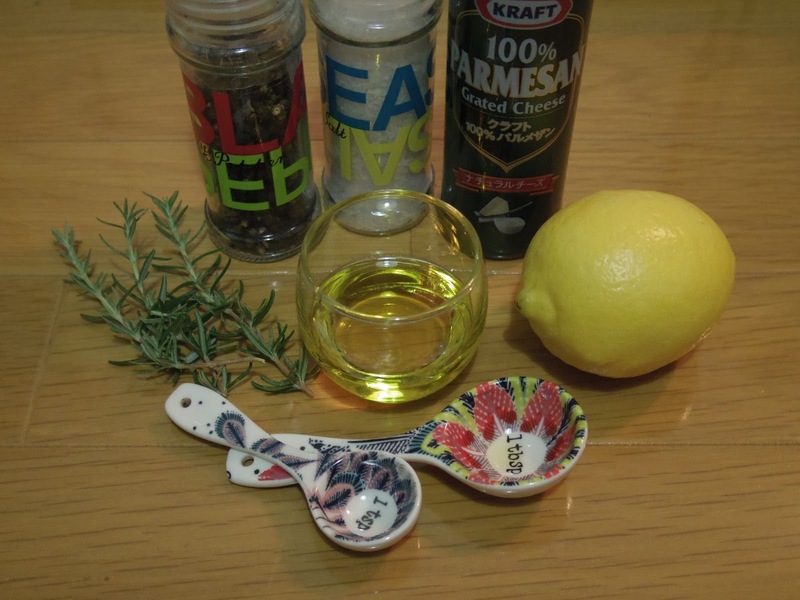 And since I had a lemon laying around, I added the lemon zest, too. 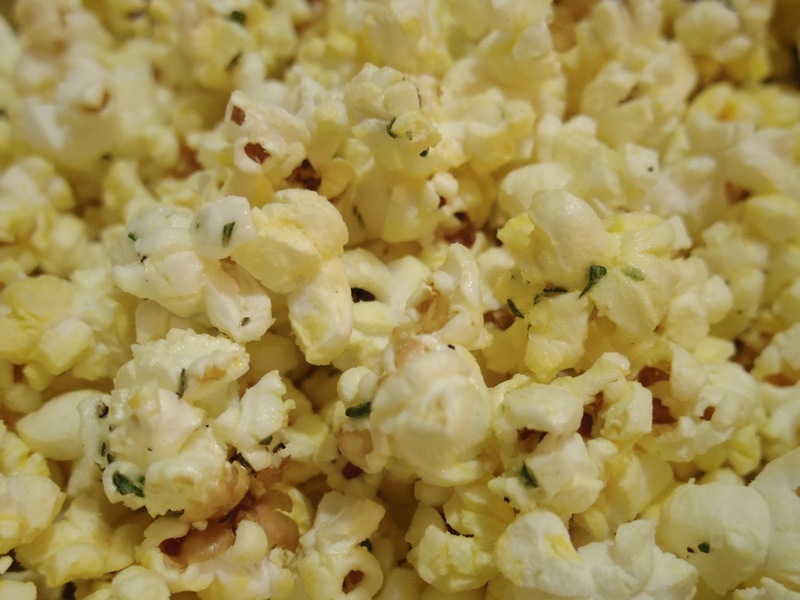 What is your movie night snack? Add chopped rosemary in to the olive oil. Let it sit while you pop the popcorn. pour the oil all over the popcorn. *Black pepper and salt is optional. I won’t eat popcorn any more. What do they call them? Old maids? Those unpopped kernels that have had a tendency to shatter into shards my once whole molars. I used to love those when I was a kid. I used to pluck sprigs of rosemary when I found the plants growing as ornamentals around town and use them in lentil soup. I just love homemade lentil soup. My movie night snack? 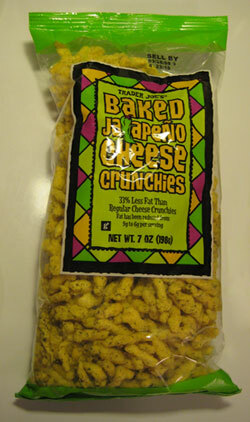 Might be these corny jalepeno cheese snacks from Trader Joe’s. I try to maintain a healthy diet but I make an exception for these. Things were so conservative nearly 50 long years ago. PS: I am super duper jealous of you having Trader Joe's close by! has lentils. There are a number of Natural Houses around. Kichijoji, Shimokitazawa, etc. Also, Tengu Natural Foods mail order has lentils (both red and brown). Celery, onions, carrots, plus pepper, salt, bay leaf, and rosemary. I like to add brown rice and quinoa as well. My original recipe called for bacon but I found that adding some slightly thinned (so that it pours thickly) miso paste at the end of cooking adds a nice tang. Spinach leaves folded in at the end are good too. You could try basil leaves also. And as many diced cloves of garlic as suit your taste.